LeWanda is the single mom of two children who was working two jobs just to make ends meet. 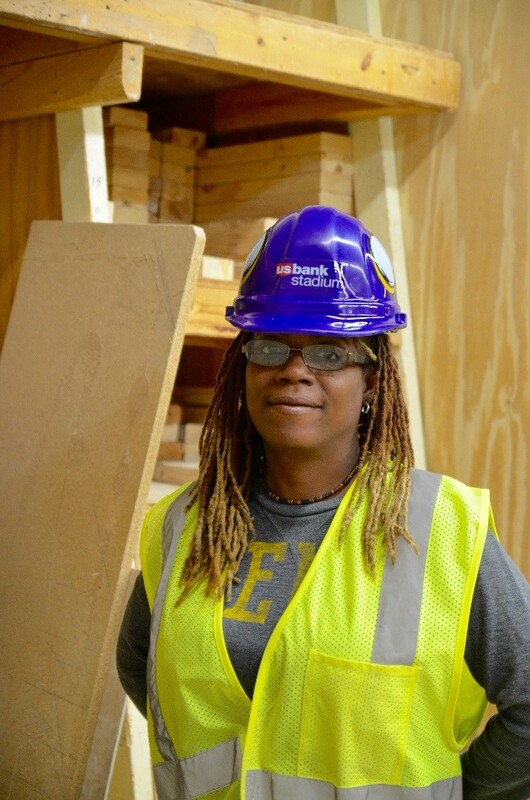 Looking for a new opportunity, she enrolled in YouthLink education and employment partner Summit Academy OIC’s Women Wear Hard Hats Too (WWHH2) construction program. “I decided I needed to make a change so I came to an Information Session at Summit Academy. . . . I did accounting for eight years and even though I was good at it, I just hated it,” says LeWanda. Following graduation from Summit Academy, she was hired by Veit Specialty Contracting to work on the TCF Stadium and Target Center. 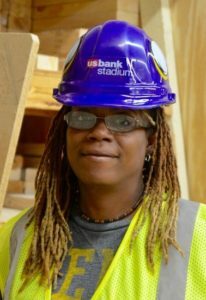 After the completion of those buildings, she was hired by Mortenson Construction—a leader in promoting equality in the construction industry—for construction projects on the University of Minnesota’s campus, and she has been with them ever since. LeWanda takes pride in being part of an industry leader that highly values the safety of their workers and subcontractors. 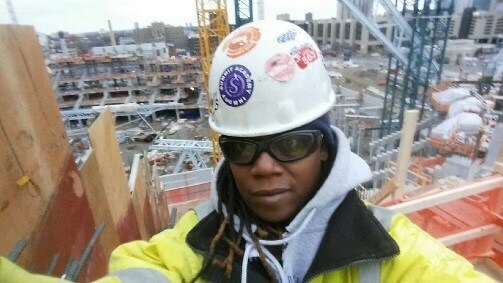 “Simple things like putting on safety glasses and hard hats. That’s our job to make sure no matter how lower-level you are, our job at Mortenson is to make sure that everybody follow the rules,” says LeWanda. Established in 1996, Summit Academy OIC is an accredited, nonprofit vocational training and education center in north Minneapolis dedicated to helping low-income adults gain the skills they need to be successful. Summit Academy’s twenty-week construction and healthcare programs provide students with industry-recognized credentials, at no cost—and with no loans to pay back. Summit also offers a contextualized GED training that combines GED instruction with certification training into a comprehensive thirty-week training program. Graduates receive a GED certificate as well as certification in the construction or healthcare specialty of their choice. The strategically focused and results-oriented organization helps more than 700 students each year become trained and employed in living-wage careers.